Since our beginnings in 1972, Coast Valley Moving & Storage has been a proud mover of choice for many families and businesses throughout Monarch Beach. Our professionals work tirelessly to offer you the customized moving solution for you. With a ProMover membership and agent status with Wheaton World Wide Moving, our Monarch Beach moving company has proven time and time again that they offer the highest quality moving services possible. No matter the size or scope of your household relocation, our Monarch Beach movers are up to the task. Unlike many other Monarch Beach moving companies, we have the tools and support necessary to carry out all of your relocation needs anywhere in the world. From basic household moving services to specialized moving and everything in between, our professionals are trained to handle even the most sensitive relocations. Call us to learn more about the services we can offer! 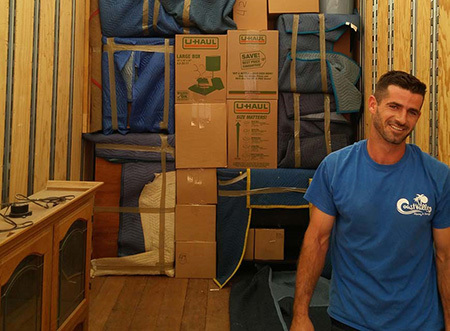 Don’t wait another minute to get started with the Monarch Beach movers of choice! Our knowledgeable professionals are happy to speak with you about any of the services that we can offer you. Call us or fill out our online form to receive your free moving estimate from Coast Valley Moving & Storage today.